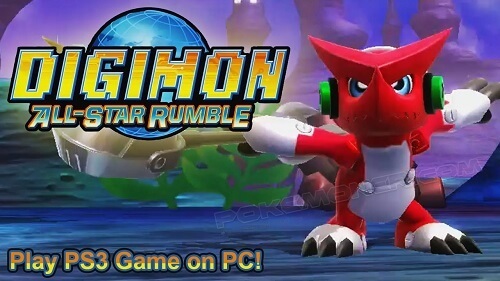 Digimon All-Star Rumble is a fighting video game developed by Prope and published by Bandai Namco Games for the PlayStation 3 and Xbox 360 video game consoles. Much like its spiritual predecessors, it features Digimon from across the series' several iterations. It was released in November 2014 in North America, Europe and Australasia. Kingdom Hearts II is the third game in the Kingdom Hearts series. It picks up one year afDigimon All-Star Rumble features 12 base playable Digimon. There are 12 base Digimon (6 of them from Digimon Adventure, 2 from Digimon Adventure 02, 2 from Digimon Tamers and 2 from Digimon Fusion), and a total of 32 forms. Six of the base forms and their Digivolutions were revealed in the game's announcement. Each Digimon can Digivolve into a higher form during battle when their meter is filled. When Story Mode is completed with a character, their "Super Form" will be unlocked; to play as this form, when selecting the character, the player is given the option to switch the character's alternate form from their regular Digivolved form to the unlocked Super Form. 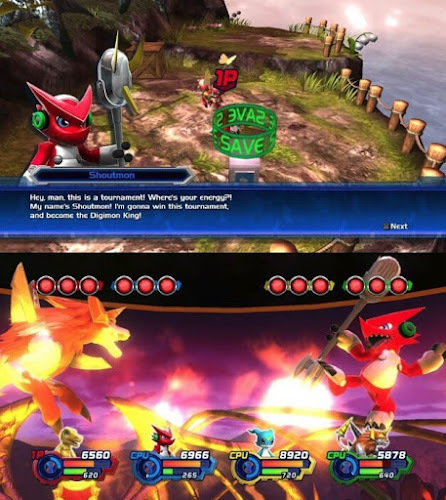 A certain powerup in the game, turns the other Digimon in the battle into Numemon temporarily. On the following chart, you will see every playable Digimon, Digivolved Forms and Super Forms available in the game. Some of these evolutions are not common in the Digimon Universe, but some adjustments have been made to balance the game and include as many forms as possible.